Home / Labels / Go! Bop! Popularity Newest products Lowest price Highest price Name ascending Name descending All labels Go! Bop! 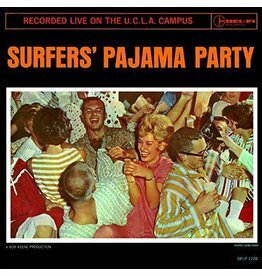 Reissue of 1963 surf lp Surfer's Pajama Party by The Centurions on Go Bop. Includes 6 bonus tracks! !